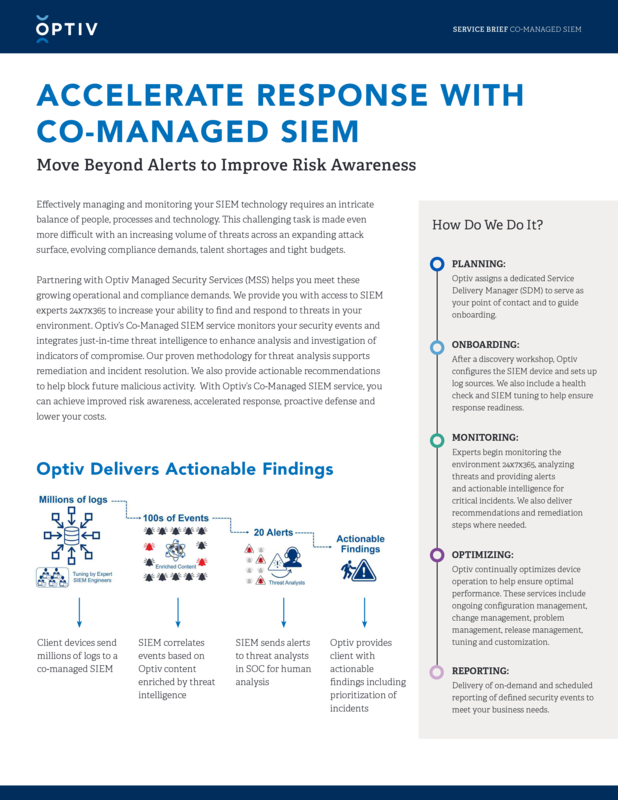 Effectively managing and monitoring your SIEM technology requires an intricate balance of people, processes and technology. This challenging task is made even more difficult with an increasing volume of threats across an expanding attack surface, evolving compliance demands, talent shortages and tight budgets. Learn how partnering with Optiv Managed Security Services (MSS) helps you meet these growing operational and compliance demands.